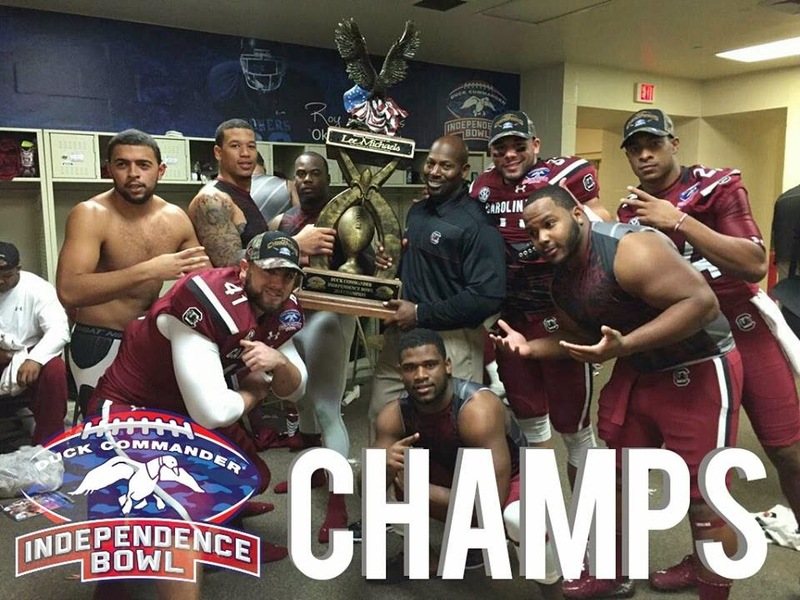 The South Carolina Gamecocks win their fourth consecutive bowl game beating the Miami Hurricanes in the Duck Commander Independence Bowl. After the Gamecocks fell behind 6-0 in the first quarter, things quickly shifted gears as quarterback Dylan Thompson connected with Pharoh Cooper for a 78 yard touchdown pass to put them up by one. South Carolina then ended up going with 17 unanswered points to end the first half. Dylan Thompson really showed why he is the SEC's leading passer as he picked apart Miami's 10th nationally ranked pass defense all game long. Thompson Finished going 22-for-34 for 284 yards with two touchdowns and also ran for the victory clinching touchdown. After blowing several late leads during SEC play, the Gamecocks were finally able to carry a narrow lead into the final quarter and win the game. South Carolina (7-6) avoided its first losing record under Steve Spurrier and forced Miami (6-7) to finish the season with a sub-.500 record for the first time since 2007 and only the third time since 1979. South Carolina Wide Reciever Pharoh Cooper finished the game with 9 catches for 170 yards and was named the Offensive Most Valuable Player. Gamecocks linebacker Jonathan Walton earned Defensive MVP honors as he was a big part in stopping Miami's star running back Duke Johnson from dominating the tempo and the game.